You’re going in for oral surgery tomorrow, whether it be to get your wisdom teeth extracted or to get dental implants, and like most people, you’re nervous. You’re not even worried about the procedure itself, because the doctor assured you that he’ll have you nice and numb well before he even starts. You’re more concerned about afterward, when the anesthetic finally wears off. 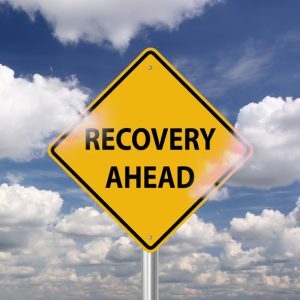 What can you do to assure that your recovery is not only quick, but painless? “Does the oral surgeon near me have any advice?” Fortunately, your oral surgeon in 45750, Dr. Jeff Lee, has a few key tips that will make your recovery nice and easy. Plan to get a lot of rest the actual day of your surgery. You may have sutures in your mouth afterward, and too much activity or strain could cause them to break, and that’s the last thing you want to happen. Be sure to prepare for a day of sitting, so have plenty of books and movies at the ready. If you want to lie down, make sure your head is propped up, as this will help limit both swelling and bleeding. An ice pack (or a bag of frozen peas) applied to your face can reduce your pain as well as limit swelling. Hold it to your face in 15 minute increments: 15 minutes on, 15 minutes off. If you keep it on too long, you may end up damaging your skin, or become so numb that you press too hard. Consistency is more important here than duration. You may be prescribed a round of antibiotics after surgery in order to prevent infection. They work best if you take them as instructed, so make sure you complete the entire course. Infection is one of the greatest risks stemming from oral surgery, and can drastically slow down your recovery. Don’t rinse your mouth for the first 24 hours after surgery. After that, gently rinse it with warm salt water at least 4 times a day. Do this after every meal and snack, using it to remove excess food particles from your teeth. You won’t be able to brush your teeth right after surgery, so this will be essential in maintaining your oral hygiene for the first few days. This one might seem like a no-brainer, but be sure to avoid crunchy or hard foods the first few days after surgery. Water, yogurt, and mashed vegetables are ideal because they are both soft and healthy. Make sure you don’t eat anything too hot or cold as well. You may also choose to take a vitamin C supplement, as this has been shown to help speed up a person’s recovery. Just follow these 5 simple tips and you’ll be ready to go in no time. The overall theme is just to be gentle with yourself right after surgery so that your body can recover. If you try to do too much or eat something you shouldn’t, you’ll be right back in my office and need to start the whole process over again. While we always love to see you here at Muskingum Valley Oral Surgery, you probably have better things to do, right? If you have any questions about what to do (or not do) after oral surgery, just give us a call today and we’ll be happy to help.